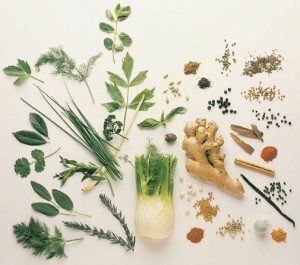 Anti-inflammatory herbs are much in news these days due to the various health benefits they possess. Natural supplements and treatments are gaining traction these days due to ever increasing medical costs as well as their benefit of zero side-effects. Over-the-counter prescription drugs are less potent against some health issues and are thus loosing popularity over time. And in a disaster or total collapse of the world as we know it, these herbs could be grown or collected as a secondary source of medical treatment. Here are top 10 natural herbs that have Anti-Inflammatory health benefits. Let’s begin by discussing about anti-inflammation. Technically, inflammation means the reaction of human body to any event such as irritation, allergy, injury, strain/sprain or external changes. Normally, people associate inflammation with reddish scars on the skin or general skin problems. Although they do not pose danger, serious inflammation can cause truly grave health concerns. Inflammation can be caused by many factors such as allergies, environmental changes, blood clotting, etc. Blood vessels contain lumen which are contracted when inflammation occurs. This leads to swelling which further leads to tissue damage. The Body’s anti-inflammatory response includes releasing Cytokines and Prostaglandins through the white blood cells. Skin conditions can be treated using anti-biotic. This may sound a little to much like the TV show “ER” for you – so to sum it all up, inflammation is swelling. And swelling is BAD. Is a major help for conditions such as arthritis, tendonitis and various auto-immune diseases. Turmeric is a staple ingredient in the Asian and south American dishes, and is helpful in reducing the inflammation and pain associated with injuries. Recommended dose for Turmeric is around 400 mg twice a day. Ginger is a major part of anti-inflammatory medicines in many countries, especially in Asia. People have been said to experience relief from pain and inflammation when they consume moderate amounts of ginger in their diet. It can also be consumed in the form of supplements or tea. Allergic reaction are also taken care of by ginger. It is also helpful in curing headache, migraines, diarrhea, and nausea. Also known as Indian frankincense, this herb is famous for it’s anti-inflammatory properties across India. It is mainly used in curing rheumatoid arthritis and joint pain. Studies have shown that it helps eliminate Cytokine, a enzyme that is related to chronic inflammation. It improves blood flow in the body and repairs white blood cells. It has also been said that it naturally blocks many of the inflammation triggers inside the human body. Rosemary is famous for its use in international cuisines. It is grown across the world and offers great anti-inflammatory properties, as well as analgesic and stimulant effect on the body. Consisting of rosmarinic and flavonoids, it can be taken in the form of tonic or tea. Perhaps the most common anti inflammatory natural herb, garlic addresses many common health problems. It is a natural anti-biotic and offers effects similar to penicillin. It helps block the Cytokine effects and prevents inflammation as well. It is also helpful in diabetes, cold and prevents cholesterol buildup. It is a very powerful anti inflammatory herb providing relief from myriad health issues. It improves blood circulation and prevents cancer and psoriasis, as well as being rich in Vitamin B, C and B complex. It has also been shown to be very healthy for the heart too. It is a well known herb due to its great aroma and taste. Besides its culinary advantages, this herb is good for many health benefits also. It prevents heart attacks by preventing excess storage of cholesterol, and studies have shown its very helpful with it’s anti-inflammatory properties. This herb is rich in many minerals and vitamins such as vitamins A, B and C. Helpful in treating kidney problems, stomach disorders and painful menses etc, it boosts the health of the immune system and even shows signs of preventing certain types of cancer. And as you’ve probably already guessed – its anti-inflammatory properties are well documented in various studies. Last but not least, Basil is a great choice as natural herb for people suffering from arthritis. It’s anti-inflammatory properties prevents the bones from losing the vital nutrition they need to stay health and ward off the inflammation before it starts. You’ve heard the old excuse before: Healthy eating is expensive. I can confidently call my food choices healthy—at least most of the time—but I’m also a cheapskate at heart. Luckily, I manage to eat healthy on a budget, thanks to a few simple swaps—some of which save calories, too! Next PostHouston Flooding Catastrophe – Do you have a plan if this happens in your area?